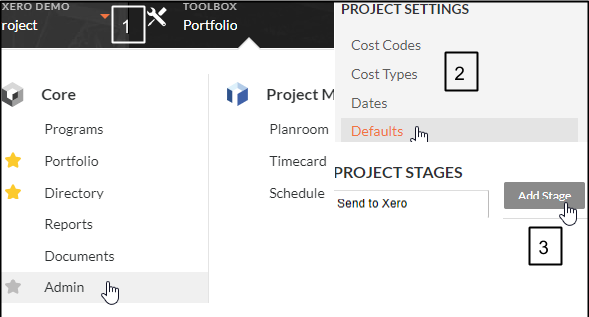 Step 1: Create a Xero Contact Group named "Procore"
In order to integrate a Vendor, you must first create a Xero Contact group named "Procore"
On the side panel, find “Groups” and click on New. 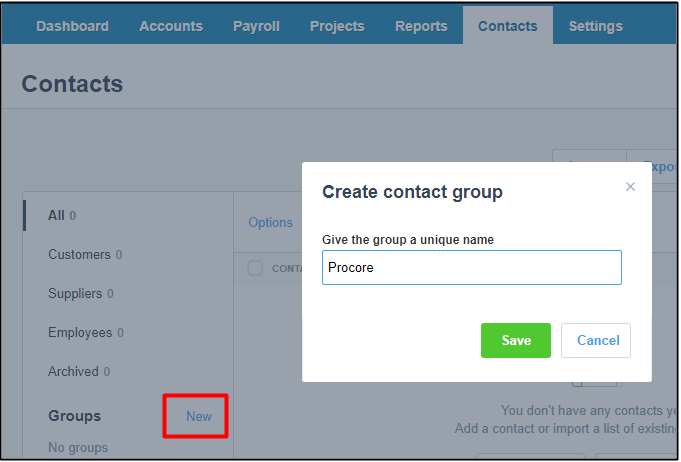 Check the box of the contact you wish you add to the “Procore” group. On the Dimension Cloud integration page, click on the “Get All Contacts” arrow or “Get One Contact” arrow with the specific Contact ID (example below) entered into the field. 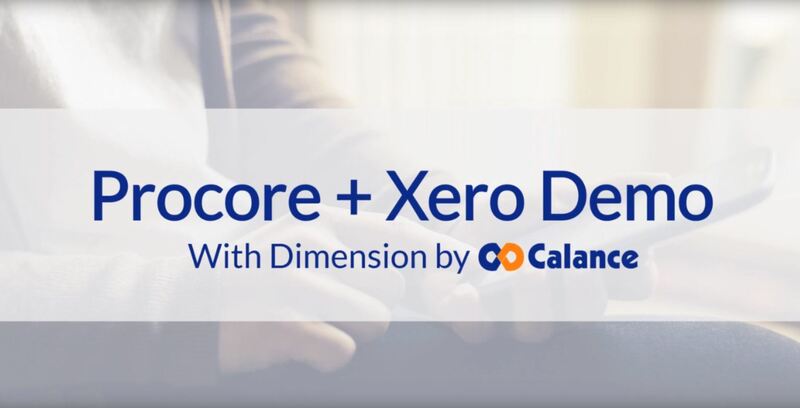 After integration, the new Procore Vendor will have a green banner indicating that it is integrated with Xero. 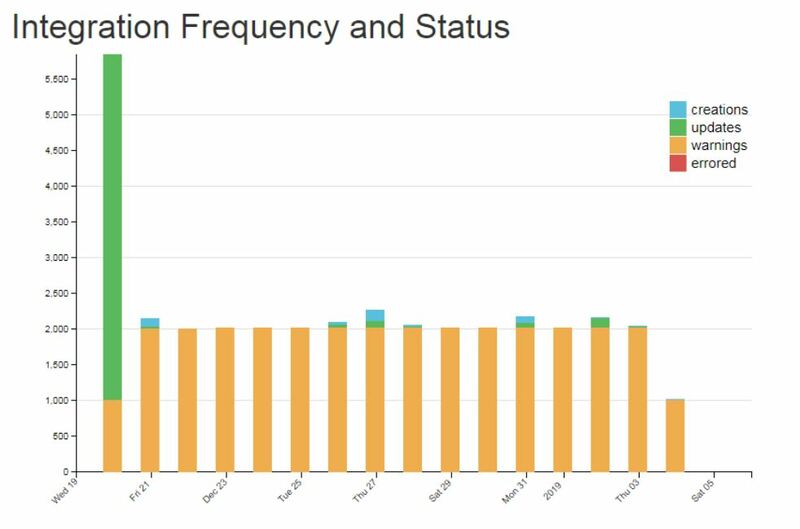 If any of the mapped information is changed in Xero, subsequent integrations will update Procore to match Xero.